When you receive post-injury care from our knowledgeable and dependable staff you can expect compassionate care and encouraging companionship. Our staff understands the needs and concerns of those anticipating post-injury care, whether it be the patient or their family. 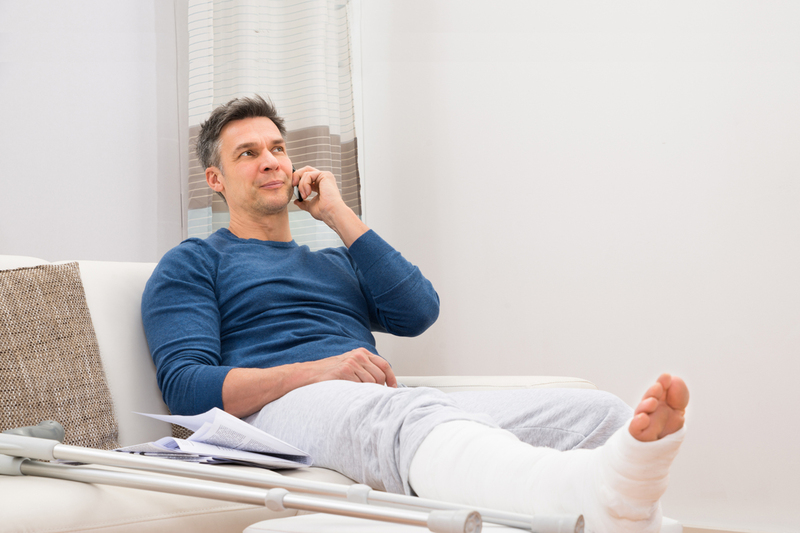 Not only do our post-injury care offerings include helpful services of transportation and housekeeping, but also includes personal services that require compassion and trustworthiness such as bathing, dressing, and companionship. Our caring staff wants to help you or your family member recover quickly following an injury and our quality of care will help the process of recovery with ease, comfort, and convenience. As a state licensed provider, New England Home Health Care adheres to the highest professional, ethical, and safety standards. All our caregivers are carefully screened, fully insured and bonded, and ready to help you or your loved one stay safe and comfortable in the best place on earth: home. Request a call-back from one of our home care specialists by filling out the following form. This is an excellent company for senior citizens to have… You cannot find a better company than this one. Believe me – wonderful. If I have a question on my medication she explains in my language not like doctors and other nurses. She is the best (RN) and… touches my heart in many ways. They treat my mother with dignity and respect… they treat her as anyone would want to be treated–with gentleness and good humor! (PCA) is an exceptional worker. She does more than is asked of her and does it well. She knows exactly what to do… She’s honest, efficient and I’m very happy with her. Our CNA has also been reliable and on time every day. I am very appreciative and thankful to have a professional working with my son who also cares. My CNA gives top quality care at all times. She is very dedicated to her job and always gives 100% to her clients. (PCA) is indispensable. She knows our situation so well and is a wonderful self starter responding to our needs. (CNA) is always polite, cheerful and helpful. She shows extreme compassion and understanding.